You are able to download the Vital Source application on your pc/laptop, tablet or smart phone from Vital Source Bookshelf Download and download your eTextbooks so as to read them offline. You can also print your eTextbooks. Note that you may be limited on the number of pages printed per printing effort according to each publisher’s restrictions. You are allowed to install the VS BookShelf application to 2 computer and 2 mobile devices. 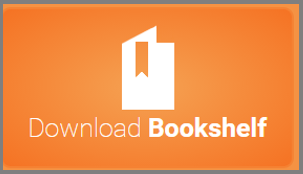 In the Download the Latest Version of Vital Source Bookshelf page click the corresponding button for the device you wish to install the application (i.e. for Windows, Mac, iPad, Android tablets and smart phones). Instructions are available on the same page for completing the task. Additionally, you are permitted to deactivate the VS application license from a device and use the activation for another device. You can do this via your online Bookshelf user account and the Devices option. In order to deactivate a device, click the deactivate link.